Solar Thermal Technology pays for itself! Start using solar power today to improve your life and save you money. Aurora Solar Collectors are the most technologically advanced on the market today. Aurora features the highest quality materials and state-of-the-art engineering to provide efficiency and durability you can depend on for years to come. Get all the convenience of traditional water heaters while eliminating traditional costs, emissions and hassles. Solene's cutting-edge solar-thermal technology gives you immediate savings on your monthly power bill. Plus, federal tax credits and state and utility incentives mean even bigger savings on your investment. Solene systems are maintenance free and long lasting so you can reap the rewards and make a positive environmental impact for years to come. Solene is dedicated to helping consumers save money by providing clean, cost-effective solar hot water systems, produced by one of the world’s largest solar manufacturers with more than 30 years of continuing technological and warranty excellence. • Pays for Itself – Initial costs offset in about 5 years. have hot water even during extended cloudy periods. free energy source available, the sun. 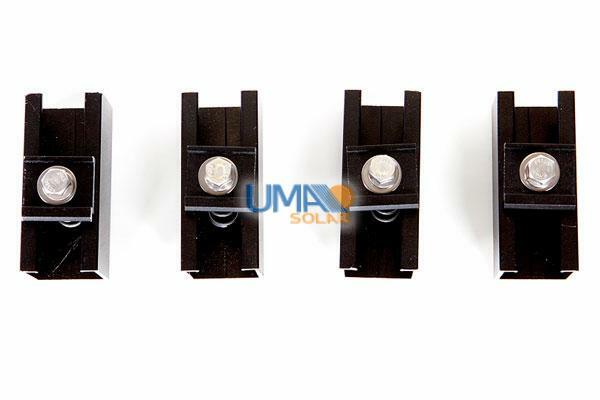 Aurora solar panels are the most technologically advanced collectors on the market today. Aurora features the highest quality materials & state-of-the-art engineering to provide maximum efficiency & durability you can depend on for years to come. Aurora solar collectors are environmentally responsible, non-polluting and reliable in any environment. Aurora solar hot water panels are an important element of any solar hot water system, producing dependable results under any weather conditions. 3/8" copper risers are brazed to 1" copper manifolds for optimal flow distribution. Four 1" Type M copper tubes. 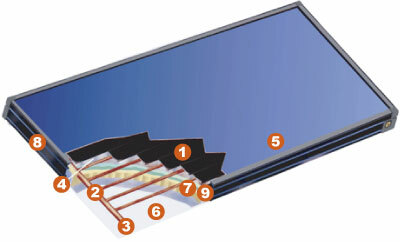 Attached to the insulation, acts as a barrier against out-gasing. 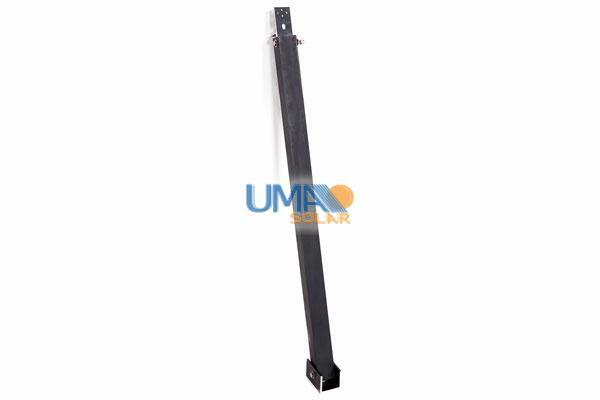 Fiberglass Backing: Reduces torque in the frame, is lightweight and eliminates the possibility of any electrolysis issues for maximum benefit. 1-3/16" polyurethane foam cast under and around the side of the absorber plate, retains the heat of the water in the collector. DFC-free P.U. meets U.S. and European standards. All aluminum extrusion casings create a sleek framewall. 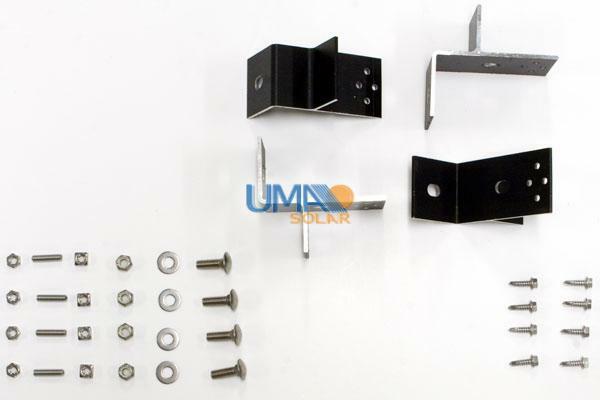 Unique extruded profile allows easy anchoring to the roof (shingle, tile, tar) or collector stands. All-around EPDM gasket. Highly resistant to temperature differences and UV radiation. Absorbs the differential expansion of frame and glazing. Flat plate collectors capture solar energy by employing the green house effect. The glass covering permits up to 90% of the visible sunlight to enter the collector. When the light passes through the glass its frequency is changed slightly to a lower energy level. When the light strikes the absorbing surface of the flat plate inside, the light is absorbed as heat. The combination of the glass frequency change and the solar absorbing surface of the plate capture the maximum amount of energy. As the absorber plate heats up it begins to radiate energy as infrared (IR) or heat radiation. Glass is essentially opaque to IR wavelengths so the heat is trapped increasing the temperature.